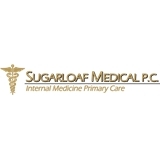 Sugarloaf Medical PC (Suwanee) - Book Appointment Online! The doctor is great. He is very knowledgable. He listened vey carefully to me and answered all of my questions. The clinic is super clean and nice. The staff are very kind and they send you and a reminder message a day before your appointment which is I think its very nice. A a new patient, they took care of me and helped my right away. Overall, it was a successful experience and definitely recommend him. Dr. Mincey was professional, knowlegeable, and caring. I will be glad to see her again! Great experience! Perfect PA/DR team. Very knowledgable and pleasant. Love this office.